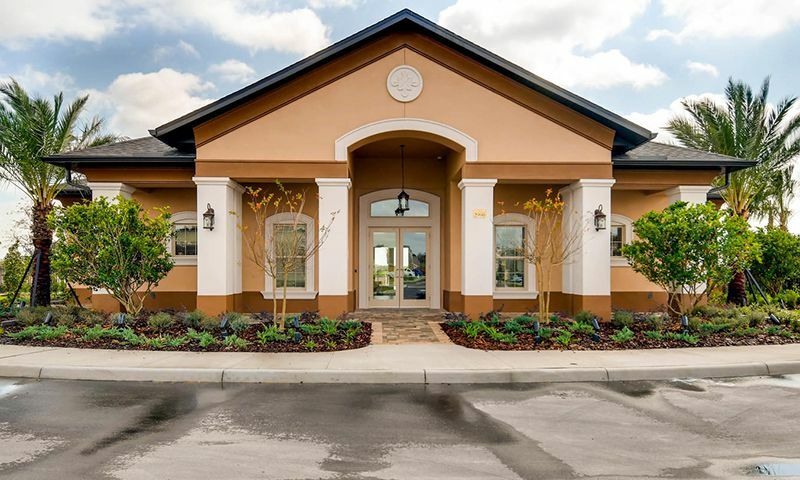 Heritage Landings is a new 55+ community in Lakeland, Florida. 65 single-family homes will be built by renowned homebuilder DR Horton. A clubhouse with a fitness center, multi-purpose rooms, and an outdoor pool and patio will provide plenty of opportunity to keep active. Located near the Tampa Area, homeowners will enjoy a convenient location near big-city attractions but far enough away to enjoy peace and tranquility. Residents of Heritage Landings will enjoy a variety amenities tailored to their desires. A clubhouse near the community entrance will be a center of activity and social interaction throughout the community. A fitness center will allow residents to stay fit and active and the multi-purpose room will serve as a location for meetings and social gatherings. An outdoor pool and patio allows residents to relax and soak up the Florida sunshine. Walking trails, open spaces, and ponds will ring the community. Upon completion, Heritage Landings will have 65 single-family homes. Homebuyers will have four floor plans to choose from that range in size from 1,641 to 2,034 with two or three bedrooms, two bathrooms, and attached two-car garages. All floor plans have features designed with active adults in mind like first-floor master suites, open design living spaces, and customizable flex rooms. Homeowners at Heritage Landings will enjoy as much activity or as relaxation as they desire. Residents can start a exercise routine at the fitness center or attend a social gathering at the clubhouse's multi-purpose room. Active adults can enjoy a brisk swim in the pool or a leisurely walk along the walking trails. Residents can enjoy life in this low-maintenance community knowing that lawn care and common area and exterior maintenance are all taken care of by the homeowners' association. Heritage Landings is conveniently located in Lakeland in Central Florida. Daily errands and shopping trips are easy with a Winn-Dixie just five miles from the neighborhood. There are also several shopping centers along Polk Parkway with a wide variety of retail stores and restaurants, just a few minutes away. Plenty of golf courses and parks are nearby as well, such as Grasslands Country Club, Lone Palm Golf Club, and Sanlan Golf Course. Residents are only an hour's drive away from fun attractions like Disney World, SeaWorld, Busch Gardens, and Universal Studios. When traveling farther is necessary, Tampa International Airport is about an hour away. Heritage Landings is a charming 55+ community that offers single-family homes in a convenient location in Lakeland, Florida. Check back soon for more information on the lifestyle in Heritage Landings. 55places.com is not affiliated with the developer(s) or homeowners association of Heritage Landings. The information you submit is distributed to a 55places.com Partner Agent, who is a licensed real estate agent. The information regarding Heritage Landings has not been verified or approved by the developer or homeowners association. Please verify all information prior to purchasing. 55places.com is not responsible for any errors regarding the information displayed on this website.